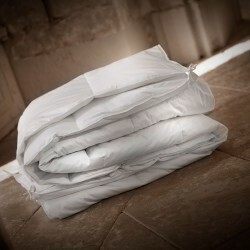 Duvets King size duvet (260x240 cm). 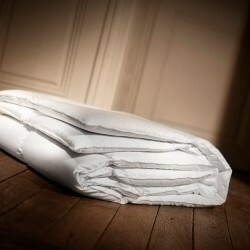 The duvets 260x240cm are matrimonial duvets, adapted to 2 places beds. 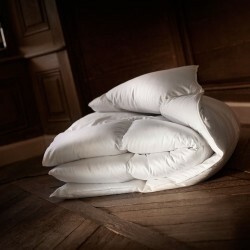 Natural down duvet or synthetic duvet, at Dumas Paris, all our duvets are available in all sizes, standard or custom. 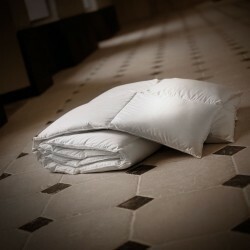 The size of the duvet should be adapted to the size of your mattress and the height of your bed base, so that you can easily tuck it and have enough fallout on each side so that your bed is aesthetically pleasing. 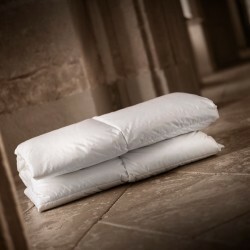 In addition, when sleeping with two, it is necessary to provide a duvet sufficiently wide, so that everyone can wrap themselves up snugly. 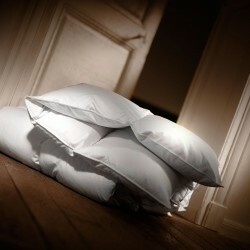 Whatever size you choose, check the size of your duvet covers to make sure they fit properly. 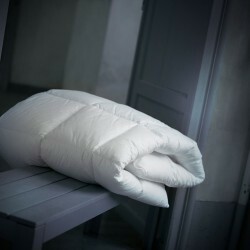 For a bed 160x190cm or 160x200cm: choose a duvet 240x220cm or 260x240cm For a bed of 180x190cm or 180x200cm: choose a duvet of 260x240cm or 280x260cm For a bed of 200x200cm, choose a duvet 280x260cm The size of duvet 260x240cm is a standard size, it will be available in all collections of Dumas Paris: Royal collection, Imperial and also in the range of Evasion or Millésime. 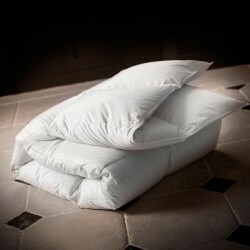 The 280x260cm duvet is not a standard French dimension, the latter is considered a custom-made product. If your dimensions are special, we will make for you a tailor-made custom. 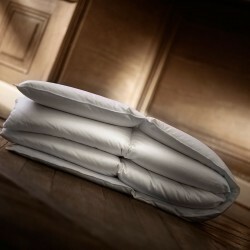 Different heat index are available, to adapt to your sleep habits and your environment: winter, summer or tempered duvet. It is the condition of a restful sleep! All our tailor-made products are made within 10 days. Custom duvets are not taken back or exchanged. 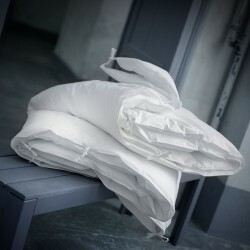 You can also request that your standard or tailor-made duvet receive the exclusive GSD® process: it is a double-walled system, with a non-mite-treated and bacterial internal lining, providing maximum protection against allergies, the main cause of allergy.